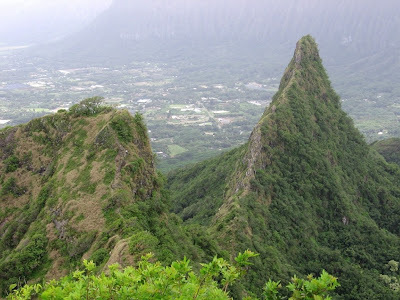 Todays photo is courtesy of Thad Spreg and shows the second and third peaks of the Olomana hiking trail. I would like to dedicate this to the memory of Ryan Suenaga (@rsuenaga) who passed away while hiking this trail. I’ve met Ryan at several Twitter events and have read numerous tweets by him. After the many tributes about him I wish could have gotten to know him better. Ryan was very active in the social networks and touched so many lives and he will be missed by his family, friends and by the extended social network community in Hawaii. My condolences go out to his family. Though I don’t usually do this I’ve included links to some of the many touching tributes to Ryan below. Ryan’s HawaiiWebLog also has links to many tributes and event of celebration. 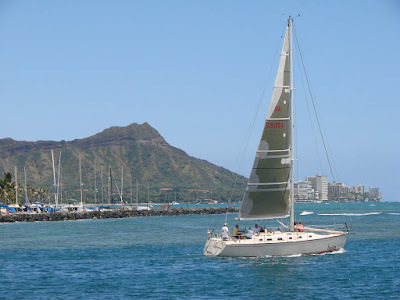 A sailboat heads out to sea passing the famous Diamond Head landmark. This photo was taken from the Magic Island portion of Ala Moana Beach Park. I wish I had a sailboat so that could be me on the boat instead of on the shore taking a picture. One last look at Ciao Mein. 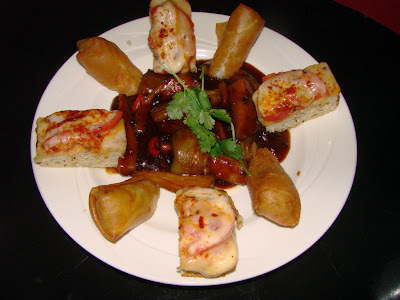 Here is the Ciao Mein Appetizer special of Szechuan Eggplant with Focaccia and springrolls. Here at Ciao Mein family-style servers are meant to be shared. Their menu features ten first-place Taste of Honolulu award-winning dishes including the honey-glazed walnut shrimp, Szechuan Eggplant, Bistecca di Manzo and much more. Sadly they will be closing their doors on April 30 making room for Japengo a new Asian fusion restaurant that will open September. If you visit the Hyatt Facebook wall there are some exclusive Ciao Mein recipes to add to your collection.